Sleeve it to Deedee: Baby Steps...and Food. I've now moved into the pureed food stage of the post-op diet, which means I can have foods like blenderized fruits and veggies, applesauce, and mashed potatoes. In preparation for this stage a few friends sent me recipes for purees they'd made for their babies. I'm super excited to try them, but in the meantime I bought a couple packages of pre-fab baby food so I would have something on hand just in case I was too tired to make my own or didn't have the ingredients on hand or whatever. Then last week my friend Pam brought me some baby food - a plum/banana mix and, because I had been complaining of my, um, bathroom issues, she brought me prunes, too. So at this point I've amassed a neat little stash. 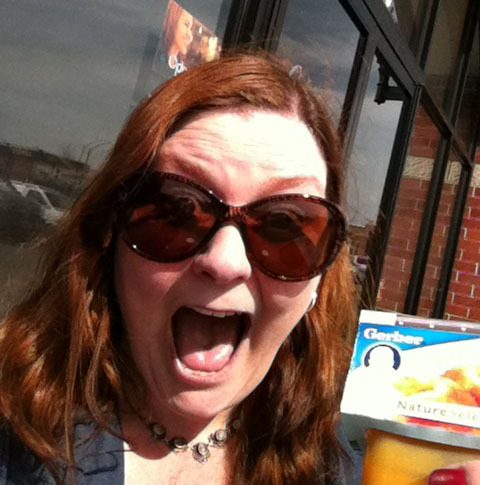 But then yesterday morning my friend Carla brought me even more baby food. Peaches and green beans this time. She said, "I think you're ready," and pointed to the label on the top of the package. I most certainly can sit independently, even though I currently prefer to lie in a semi-reclined position propped with a gazillion pillows. 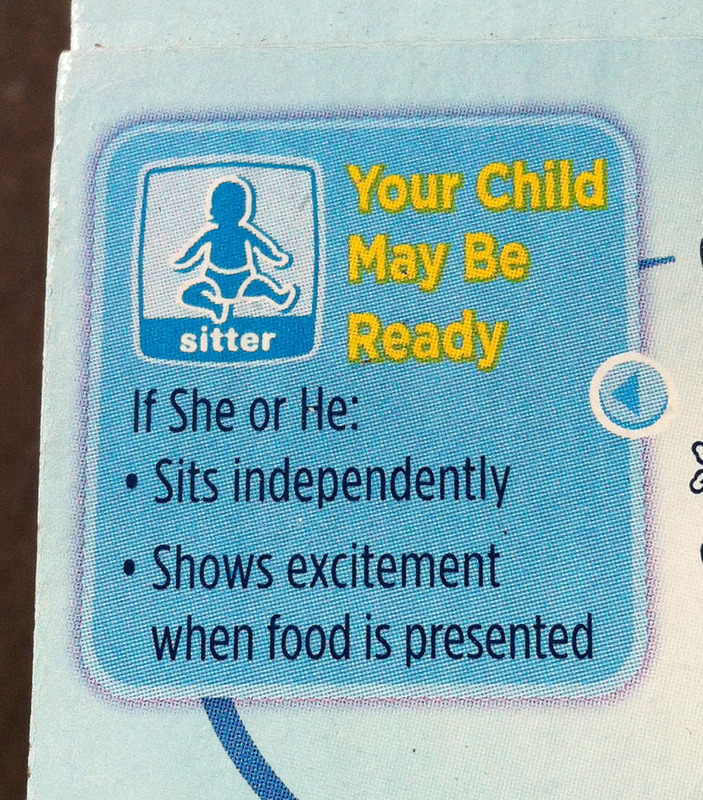 And I most certainly do show excitement when presented with food. I'm also sitting independently here, in case you were wondering. This is getting good. After four weeks of nothing but protein shakes and soup and jello and such, I am now allowed to introduce some meat and potatoes and veggies into my diet. The closest I got previously was chicken broth and Green Machine juice. But now...now I can throw some chicken and some mashed potatoes and whatnot into my blender and puree the living daylights out of them and maybe feel like I'm eating something. I still have to keep an eye on my protein, especially now that I'm really losing weight - I don't want to lose too much lean tissue along with that. So I have to stay with my protein shakes and still have to mix protein powder in with everything I eat, but still...mashed potatoes?!?! I think I'll like this stage. You Thought You Were Going Home When? Ha Ha Ha!